Keeping up with pipeline construction is enough to make anyone’s head spin! The 3 major pipelines currently under construction, Atlantic Coast (ACP), Mountain Valley (MVP) and Mountaineer Xpress (MXP), amount to a total of 10,489 acres of earth disturbance. There are only 5 DEP Inspectors covering this onslaught of construction across West Virginia. Divided equally, each of those Inspectors would be responsible for overseeing approximately 2,000 linear acres. That’s enough ground to cover to keep them very busy! Volunteer monitoring efforts provide support to the Inspectors by serving as an extra pair of eyes and reporting potential problems so DEP can prioritize inspections. The Allegheny-Blue Ridge Alliance (ABRA) Pipeline Compliance Surveillance Initiative (CSI), Mountain Valley Watch, WV Highlands Conservancy, Ohio Valley Environmental Coalition, WV Rivers Coalition, and Trout Unlimited (TU) have a unique partnership to train citizens on how to monitor construction and report potential violations. A Pipeline Air Force monitors from above to pinpoint problem areas and volunteers monitor construction on the ground. A photo taken by a volunteer of Grassy Run in Upshur County. The incident report resulted in a violation for the Atlantic Coast Pipeline. The information gathered from the aerial photos and ground observations is sent to us and vetted to make sure it is a reportable incident and contains all the necessary information. Then it is forwarded to DEP as an official complaint. We have been reporting potential problems and tracking pipeline violations since construction began. To date, 5 complaints have been submitted on the MXP, while DEP has issued 27 violations and fined them $122,350; 15 complaints on MVP and 22 violations issued; and 28 complaints on ACP with 3 violations issued. DEP inspectors don’t always issue a violation when a complaint is received, but they do follow-up on the complaint with an inspection. Complaints are forwarded to the company’s Environmental Inspector and an inspection is scheduled. During the onsite inspection, if there are no impacts to water quality and only marginal deficiencies are observed, a warning is issued. If the deficiency is not corrected, that warning will turn into a violation upon the next inspection. 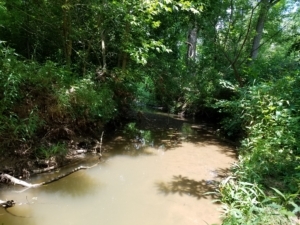 When conditions not allowable in state waters are encountered, such as sediment deposits in the stream, that triggers an enforcement action and a Notice of Violation is issued. Impacts of the Mountaineer XPress Pipeline on Lee Creek in Cabell County. Following an aerial flight on ACP in November, we submitted 19 complaints to DEP spanning Lewis, Upshur, Randolph and Pocahontas Counties. 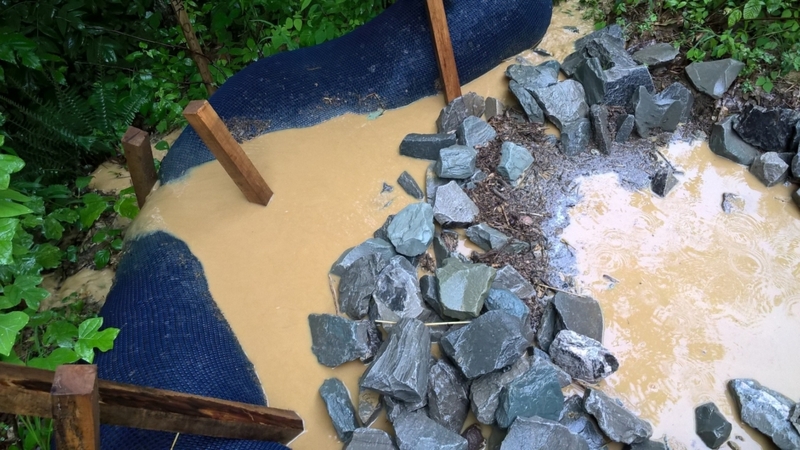 Those complaints were for tree clearing without erosion controls in place, erosion control measures that did not match their permit requirements, and failing erosion controls and sediment deposits outside their limit of disturbance. DEP Inspectors were then deployed to investigate those complaints. Several warnings and one violation was issued. Additional inspection reports and subsequent violations will be posted on the DEP’s document database that we monitor on a regular basis. Unfortunately, the Inspector can’t tell us if a violation was issued at a particular site until the company has received notification. We have a good working relationship with the DEP Inspectors and many of them are grateful to have the extra eyes on the ground and in the air to assist them with oversight of these large pipeline projects.